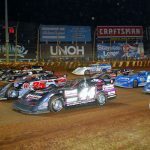 The World of Outlaws Craftsman Late Model Series schedule has been released and it features a number new venues as well as many traditional stops. 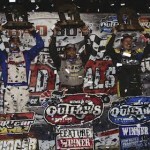 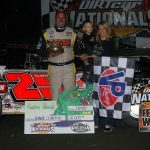 The curtain came down on the rain-plagued ninth annual Bad Boy Buggies World Finals at The Dirt Track at Charlotte Sunday evening with the crowning of three dirt track racing champions. 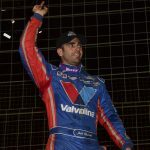 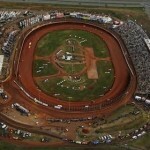 The ninth annual Bad Boy Buggies World Finals at The Dirt Track at Charlotte will conclude with three (Donny Schatz, Shane Clanton and whomever emerges from the three-way fight for the Super DIRTcar Series title) drivers being crowned champions of their respective classes. 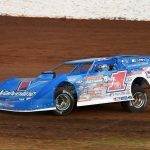 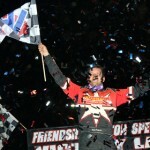 With a string of impressive performances and breakthrough victories, Chris Ferguson is well on his way to making 2015 the best season of his career. 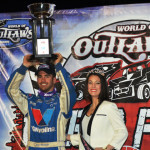 If Josh Richards had realized his greatest racing ambition in 2013, he wouldn’t have won the World of Outlaws Late Model Series championship. 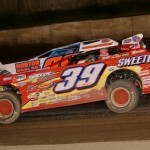 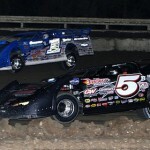 Tim McCreadie has seen – and done – a lot at Canandaigua Motorsports Park.